DIN Cylinder Valve Removal Tool. DIN Cylinder Valve Removal Tool. It utilises a 19mm hexagonal drive, to connector to a 19mm socket. 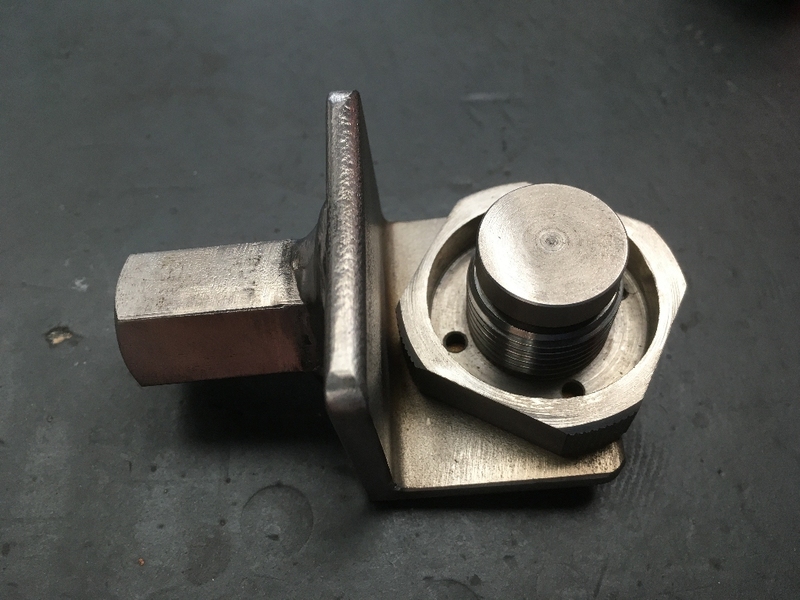 A purpose made tool that fits within the DIN thread, to allow safe and easy removal and replacement of a DIN valve. Made of stainless steel with a steel hand wheel. The hand wheel screws into the DIN thread of the valve. The hand wheel MUST be screwed all the way into the valve hand tight, so that it doesn't move, to avoid damaging the valve thread.